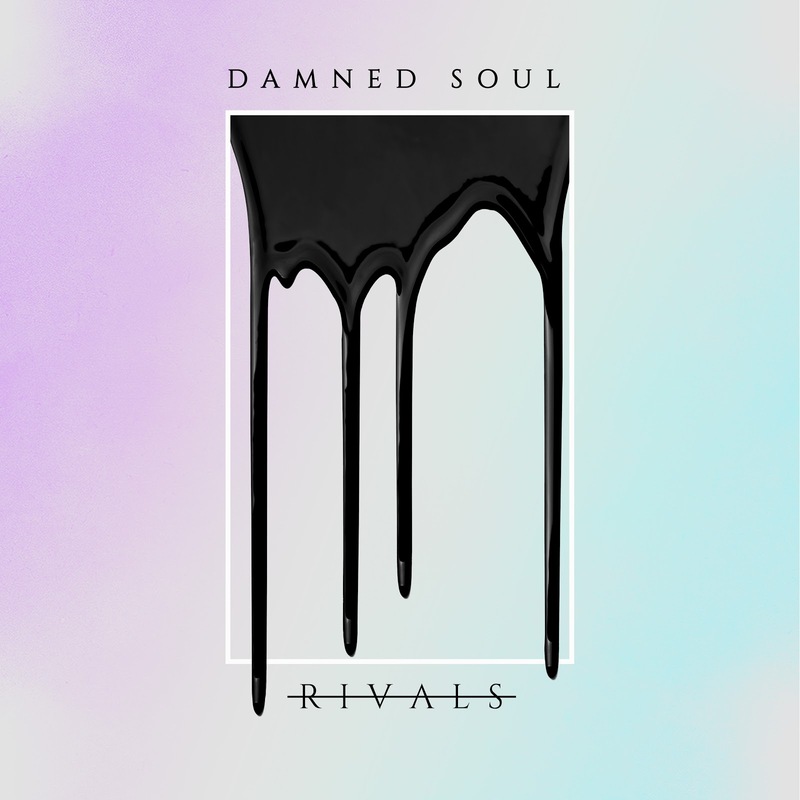 RIVALS is a dark pop-rock band from Los Angeles, CA formed in 2014 by vocalist Kalie Wolfe, bassist Sebastian Chamberlain, and guitarist Micket Woodle. 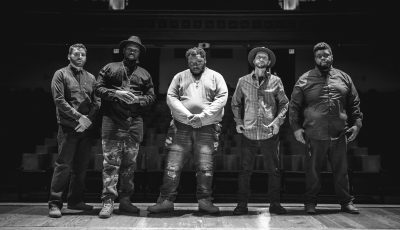 Driven by Wolfe’s powerhouse vocals and the band’s infectious yet raw sound, RIVALS is fueled by powerful and energetic songwriting, bringing forth a type of fearlessness in their music that stands out among the rest. 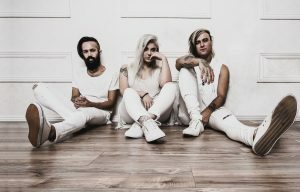 Since the release of their debut EP in 2015, titled Haunted/Hunted, the band has been making waves and for good reason. Revered by many on their live performance, RIVALS has previously toured the country with bands like Story Untold, Uh Huh Baby Yeah!, and Best Kept Secret, in addition to sharing a lineup with acts like Assuming We Survive, The Word Alive, and Oceans Ate Alaska on the 2014 Vans Warped Tour. The band’s impressive live performances also led to partnerships with MEE Audio, D’Addario, SJC Drums and TRX Cymbals. In 2016, RIVALS gained mass attention with their unique take on twenty one pilotsʼ track, “Heathens,” which has garnered over 350,000 listens collectively across Spotify, YouTube and other streaming platforms. What is one song that you are loving right now? So first things first, what all are you most excited about for this year? We’re really excited to be hitting the road with The Red jumpsuit Apparatus! We’re filming a new video for Damned Soul! And we have so much road time! Can not wait to get out and meet new people and see our amazing fans! Can you recall the moment when you all thought you could be in a band together? It wasn’t really something we kinda knew, we think our paths crossed on purpose, like it wasn’t an accident we all got along so well. I guess you can call it fate in a way! Really happy to be here with them though, the jokes, the laughing, the crazy adventures, happy to call them family. Was it hard to come up with a name that you all thought fit your sound and who you are? 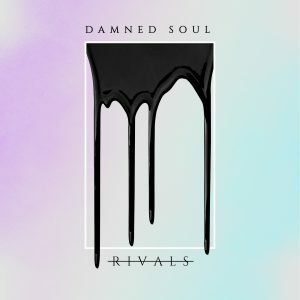 Let’s talk about your forthcoming first full-length album, “Damned Soul.” Why do you think it took so long to put out your first full album? We really took our time so we could make something that we felt was really RIVALS in a whole, there was issues and complications but that’s everything with a band. It’s never easy but that’s why we love it, the struggle to get there is the best part. We love the hard work, the grind, the craziness of it all. Plus we really wanted to make sure that it was as good as we could get it at the time! A lot of the songs are about internal and external issues ranging from my mental health, to over coming those issues, to heartbreak, to pushing towards your goal and of course the open letting I wrote to my niece Leila! There isn’t really one inspiration, it kind of came from everywhere! Especially since it was written over such a long period of time! Did anything surprise you about the process of putting it together? 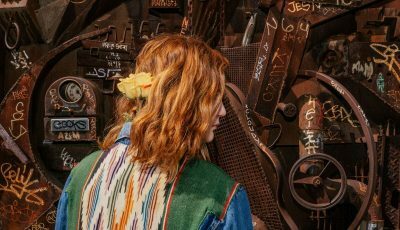 What we had initially wrote for the album had evolved into something far beyond what we thought we would have created in the beginning and its been super exciting to watch the transformation. I think finally getting to see people’s reactions is also kind of surprising, we were confident in what we wrote but seeing people like it and singing the words honestly makes it all worth it to us. Were there any unexpected challenges at all? Always haha, nothing is ever easy but the reward is always worth it. We are so thankful for everything we’ve been given so far, it’s crazy to watch us grow. The amount of tears and nights spent awake worrying if it was good or not is crazy when I think about it. Why do you think Smartpunk Records is the right place for this band and your music today? They really care about us as a band and inspire us to push ourselves to new limits. They believe in us, they care and want the best for us and we knew that’s what we needed. A family environment just like our band and everything else around else. We’re all family. How did you go about picking this label to release your music? We really just vibe well with the people that work there, we didn’t really pick them per say, we’ll I guess technically haha but honestly it was just right. Everything about it, everyone at Smartpunk is amazing and we appreciate them a lot. You worked with a lot of talented musicians and producers on “Damned Soul.” What was it like working with them and how did some of these collaborations come to be? They were all people that we had met along the road and they are honestly awesome people to not only write with but to hang out with in general. John Espy, Kalie met at a show one day randomly and Aaron Edwards was met through John but technically Aaron had reached out to me way back in the day about making music and I blew him off at the time. Kinda funny how things works out in life haha. 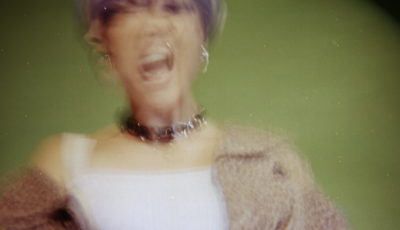 I would love to know more about the making of “Moonlit”? What was it like putting this particular emotional song together? it was really a song comprised of all of our emotional struggles as human beings, it’s about the mental struggles and hardships your mind can consume you in. It’s about the people who surround you and the life choices you make. Moonlit has so many different meaning but it really boils down to my own mental problems. How do you think RIVALS has grown through the years? Do you have any 2018 tour dates lined up already? We are on tour with The Red Jumpsuit Apparatus from 3/29 – 5/27! We’re super stoked!!! John Feldman! He always does really awesome albums that we all really love so hopefully one day we get to do one with him! Billie Eilish, The Plot In You, Blackbear, Lil Peep, Bring Me The Horizon, 30 Seconds To Mars, Architects to name a few! What would be a dream collaboration for this group? Where do you think you are all happiest- on stage performing, in the studio recording music or elsewhere? On stage performing for sure! It’s our bliss, our happiness, our place we belong. We wouldn’t trade preforming for anything and getting to meet fans and people who enjoy our music. There is nothing better then getting off stage and getting to become friends with tons of new people. We are living in a crazy and at times rough world right now so I am curious how you think being in this band gives you the most joy in life today? Being in a band is like showing up to a job that you love everything about. You get to hang out with your best friends and stick it out through the good and the bad, you dont show up to the same place everyday, you meet new people constantly and you get to travel. As they say if you love your job then you never work a day in your life. Do you think that new music being created today is going to reflect these difficult times? Always! Music is expressive and it changes as time changes. Each musician is influence by something different, it could be family, friends, past issues, mental issues or even the outside world. Music effects the world and the world effects music. It almost seems like a cycle to me! To never give up, never let go, see the bright side. Life is honestly so beautiful if you just take the time to see the smallest things. And of course to always Keep Going! What do you hope people continue to take away from your songs? I hope that everyone can listen to our music, the lyrics, each instrument and really feel it. To have it effect them and help them express the issues they’re having. I hope that our music is a positive reinforcement to other people’s lives. What do you hope they take away from one of your shows? A good live show and some new friendships, RIVALS is a family and always will be, we help each other out and support one another. Our older fans know that and I hope our new fans find some type of home here with us. An Interview With The Greek Multi-Instrumentalist, THEODORE!